THANK YOU to the Reunion Committee for a groovy weekend of memories and to all the classmates with whom we shared those memories. This year celebrates our 50th reunion and the 100th anniversary of SHS, Bud Williamson did an internet search on the subject and found these picture postcards of the "new" school dated 1916. Thank you, Bud, for sharing with us! 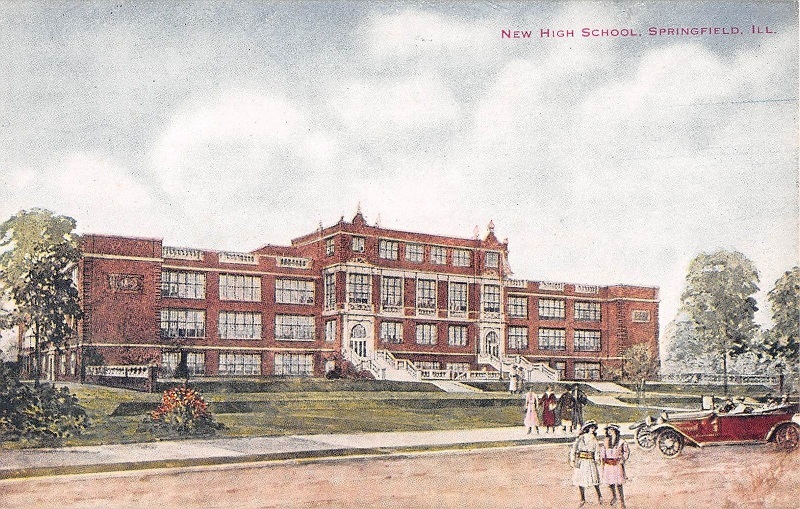 Another postcard of the "new high school building"; it is postmarked from Springfield on September 20, 1916. This one was available through Woolworth's. 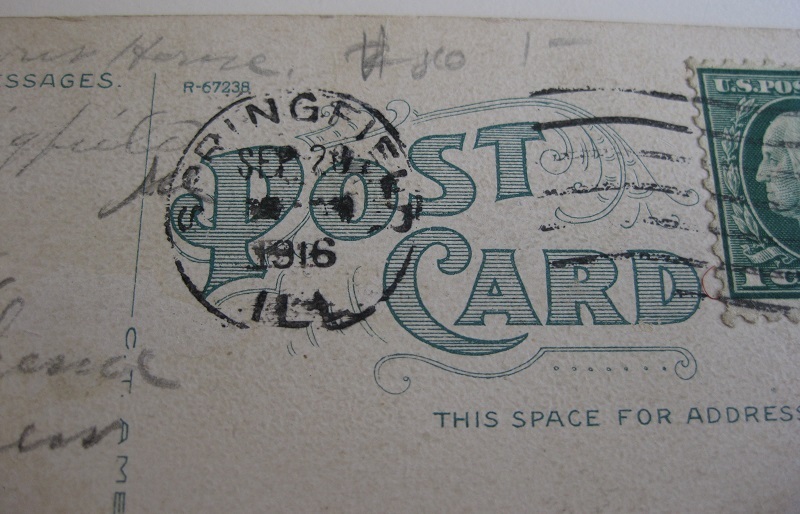 The photo is the same one but the quality is not as good as the unused one shown above as this card is marked up having gone through the post. 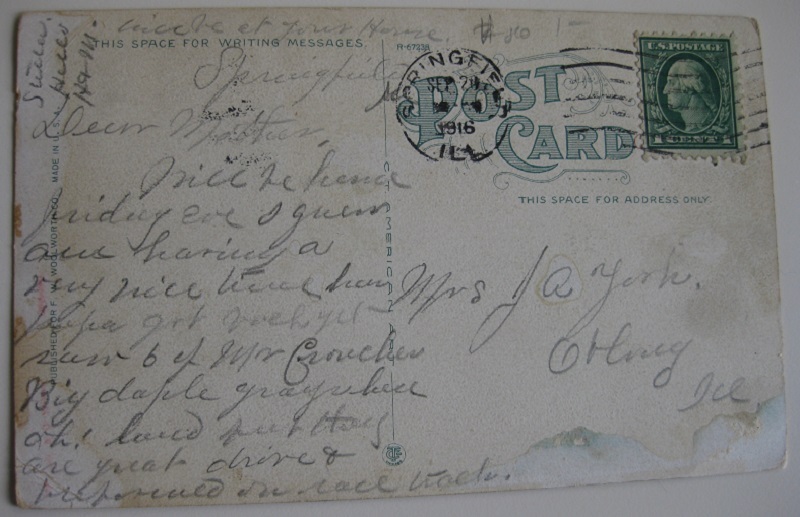 Addressed to Mrs. York and begins, "Dear Mother". The rest is difficult to read. 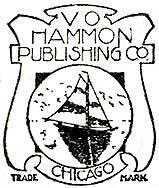 V. O. Hammon Publishing Co. (1900-1923), 215 Wabash Avenue, Chicago, IL and Minneapolis, MN. 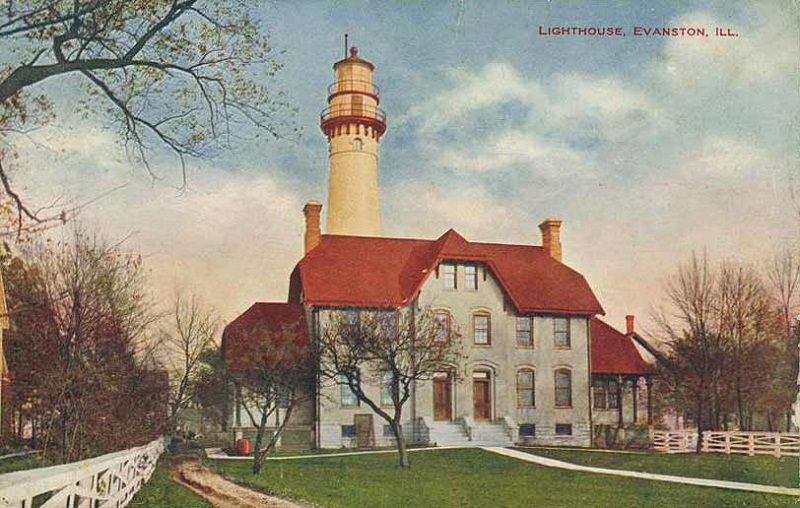 A major publisher of tricolor view-cards of the Great Lakes region. They also published novelty cards. Most of their cards tend to have a distinct look as they were printed in crisp RGB colors with small red block lettering. We are missing information and pictures from our 5, 10 and 15th reunions. If you would like to share memories of those or any of our reunions please email them to shsclass67@yahoo.com. I will be happy to post them and return your original material. Thanks to the kindness of Tish (Mortimer) Cook and Bob & Pat (Gard) Atkinson, our 10th, 11th, and 12th grade yearbooks are on-line. 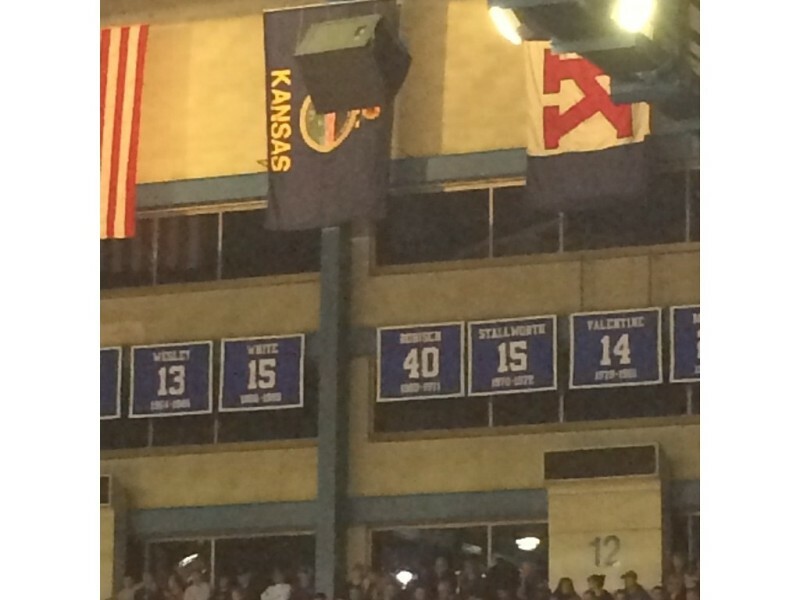 Bud's son had an opportunity to see Kansas University play on senior night at Allen Fieldhouse. 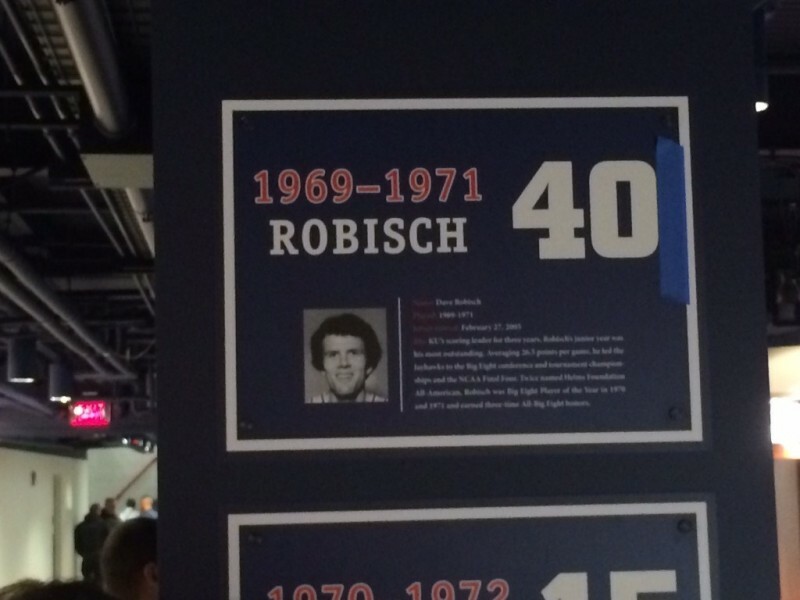 Bud asked him to send pics of Dave Robisch's retired number 40 to share with class. 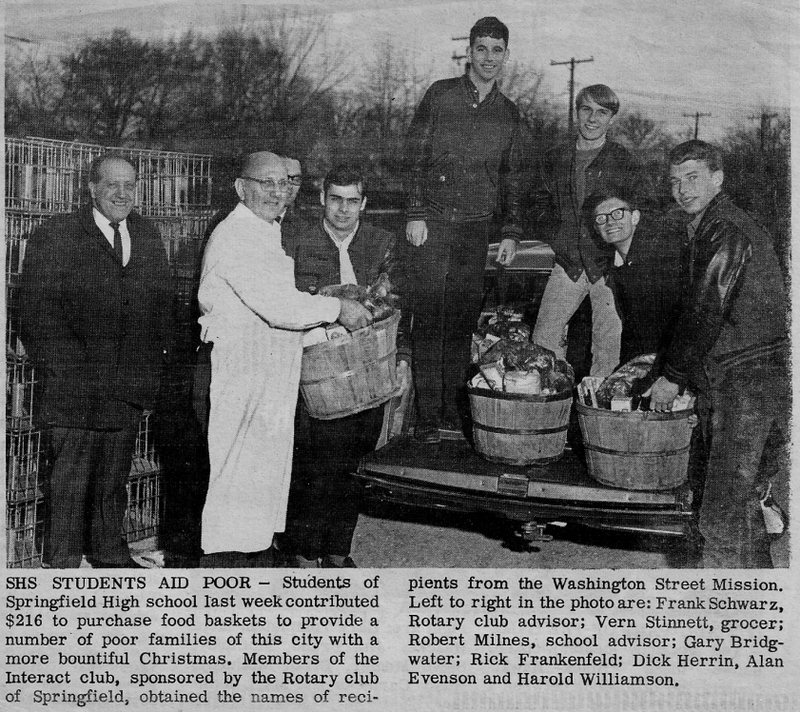 Bud Williamson has shared his memories on the English Class page. They fit nicely with our reunion year. Donna (Fitzpatrick) Sollenberger has shared her biography on the English Class page. Dave Haaker has shared on the English Class page his story of life after high school. 'SHS to Now' photo series. See Linda Through The Years. Vicky (Cox) Dow (SHS Class of 68) sent us a picture of her and her date, Tom Green, at the April in Paris program hosted by The Misses in April 1967. Now that we have the three yearbooks on-line, it is time to tackle a new project. A while back Tish (Mortimer) Cook proposed an idea to organize our individual high school pictures to show how we morph'ed through those years; and, then add a more recent picture. I have completed the first page so here is a sneak peek at our future THROUGH THE YEARS webpage. Although it may look like Sgt. Joe Friday's mug shot book, it should provide a few chuckles for the grand-kids. This will be a challenge equaling the yearbook project - for each of the 650 classmates we will need to crop, format, and upload three or four pictures. Which brings up your homework assignment. Everyone is encouraged to add a 'Since then...' photo to their line-up. You may email them, or send 'em to Jim Markestad, 27358 Nick Davis Road, Athens, AL 35613. I can scan your photos and return them. I plan to do them alphabetically, but if you send me a picture I will do your photo series right away. As always, your ideas, comments, or corrections are most welcome! As we rush headlong into our AARP years let's make a little quality time for ourselves and reminisce a bit on yesterday. 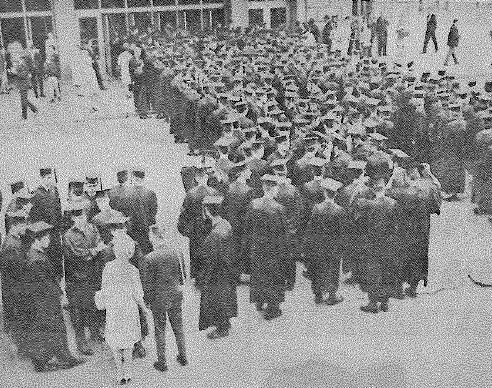 We're much too young for 40 years to have passed since that June day when we walked across the stage at the Springfield Armory to receive our ceremonial welcome to reality. So innocent and unsuspecting we dreamed our dreams and made plans to be rich, famous, and happy. Life's hard lessons taught us that the three are not mutually inclusive. The years have pushed us apart in many more ways than just miles. However, time and distance can never separate us from the experiences we shared as teeny-boppers at Springfield High School. In an attempt to bridge the span I have put this site together so we might share old memories and new experiences across the miles that time has put between us. Homeroom: An introduction and some admin stuff. A "New News" section that could highlight recent events in our lives since the last update. English: Our autobiographies. A place for a couple of pics (for example; senior picture on the left and a recent photo on the right), some trivial info, and a narrative of whatever you want to say about yourself. Geography: A map and a listing of where in the world we have all gone. History: A place to post pictures of our school years and class reunions. Many of us probably have old pictures taken while in high school, pictures from previous reunions and, no doubt, many pics will be taken at the next one. Here we can sort them and see ourselves as we mellowed over the years. In Memory of.., : I thought we should have a place to honor and remember our friends who have passed before us. I'm hoping we can make this more than just a simple list of names. Pics of their life, copies of their obit, memories of family and friends, etc., would be nice. Teachers Pet: A place to remember, recognize and thank our teachers at SHS. Post your comments and memories of the teachers that made an impression on you. Honor Roll: A place to recognize our classmates that have made life better for those around them. They may be teachers, police officers, fire fighters, health care workers, etc. Now, let me say a few words in self-defense. I'm not a computer geek. My computer is slow and my typing skills very rudimentary. What little I know about building websites is entirely self-taught (which made it real easy to play hooky and go fishing). My pride in authorship is on par with my two-finger typing abilities so I certainly welcome all constructive and destructive comments for improvements. If you have information, memories or pictures that you would like to share please E-mail me and I will tell you how best to send them. 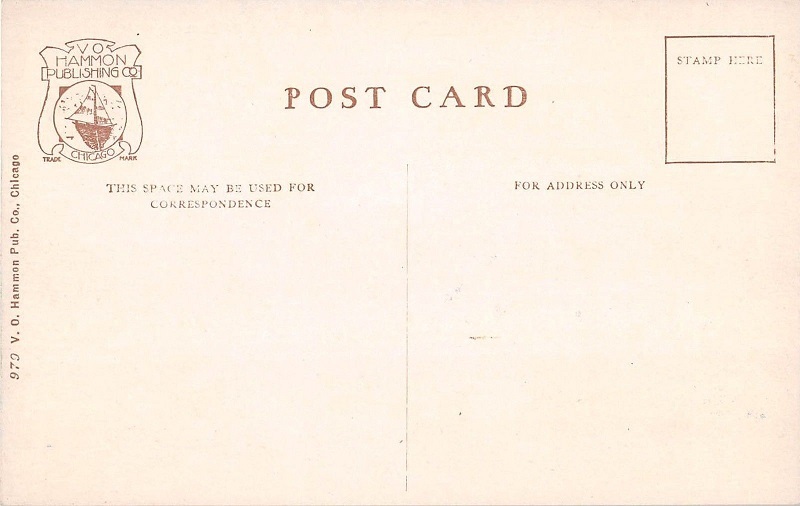 Anything you send me can be returned to you. The computer students at Springfield High maintain an excellent - groovy! - website for the school. 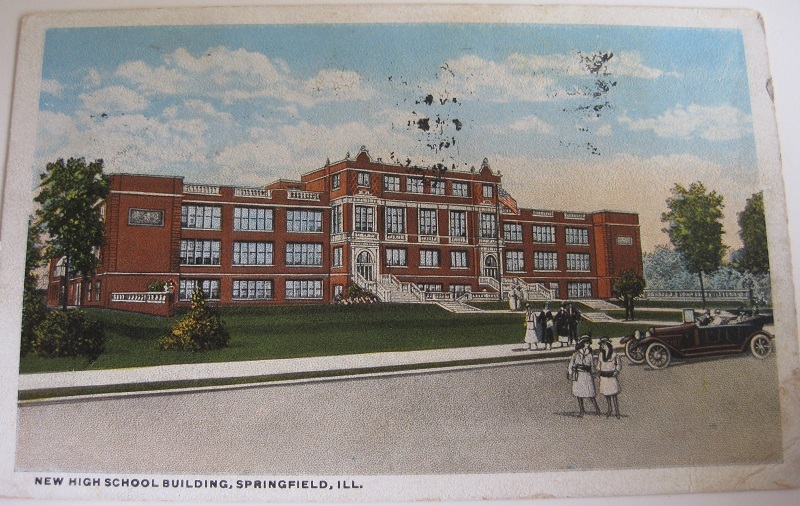 There is a great deal of information on the history of our alma mater along with the current activities at the school and links to the Springfield area. If you haven't already, I highly recommend that you take a moment to visit their site and appreciate their efforts and school pride. Click the SHS logo to go to the Springfield High School homepage. Many of us list our home address, phone number and email address here so we can stay in touch with friends and receive information from the Reunion Committee. Unfortunately, there are a number of jerks out there that surf the web looking for that kind of information for telemarketing, junk mail, and spam. Our Class Directory is password protected to prevent unauthorized access to the information. Please respect the privacy of our classmates. Alumni of SHS '67 can receive the user name and password by emailing Jim Markestad. Here we honor our classmates who have passed away. A place not of sadness, but of friendship and love; a wayside on the highway of life where we may pause to Remember Friends. Perhaps you had a class with them.., or played sports together, were in the band with them, or dated in high school. Do you know what happened to them after graduation? Do you know how they died.., Vietnam.., accident.., cancer? If you have a memory - be it a sentence, a paragraph or a favorite picture, please share it. Our class qualifies to nominate one of our own to the SHS Hall of Fame. Requirements are; (1) a graduate of SHS, (2) has been graduated for a minimum of 25 years, (3) attended SHS during their Junior and Senior years, and (4) has achieved national eminence. For more information and a list of the recipients, go to the SHS Alumni History page and click on Hall of Fame. If you know someone in our class who qualifies, please write up a little information and we can post it for the class to consider.